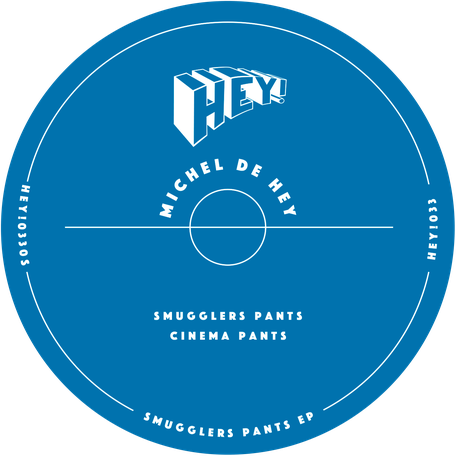 After releases on King Street NYC and Ovum Recordings, Michel de Hey is back on his own HEY! label and keeps it simple with a two-tracker inspired by his numerous visits to his favourite hangout in Amsterdam; Thuishaven. On the heels of the re-release of some classic HEY! tunes by Michel and remixes by Stimming, Paul Kalkbrenner and more, this EP is the next chapter in the label’s catalogue. First up is ‘Smugglers Pants’, a track to encourage you to close your eyes and let the bassline and melody do their job. The drums are supple, lively affairs and the keys are glazed over and kaleidoscopic, coming in and out and locking you onto the groove. ‘Cinema Pants’ is “what cinema pants are... happy and tensive at the same time” says the label. It’s a tight yet funky track with pixelated stabs and coy bass that encourages you to cut loose. Both these tracks are designed for the club and aim to get big reactions if dropped at the right time.